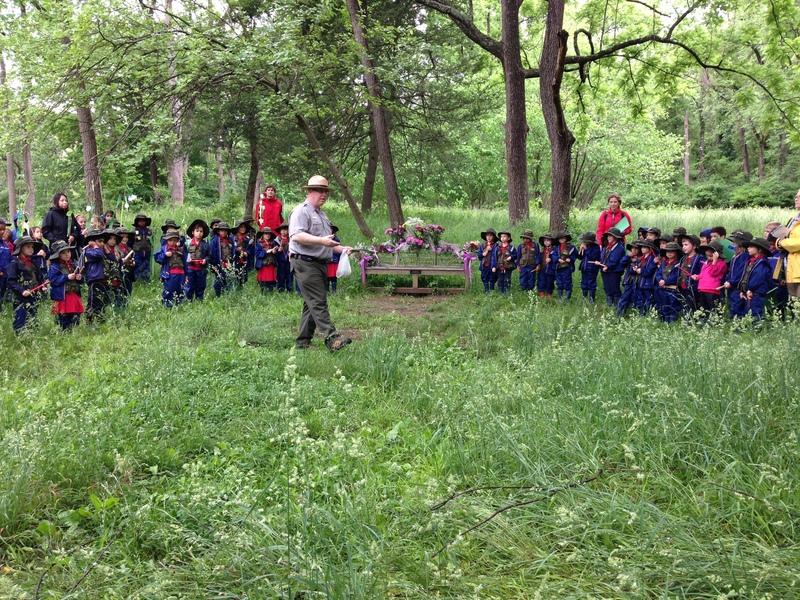 The British School Junior Rangers receiving their badges from Ranger Michael, Rock Creek Park, after weeks of study in the Park. They know their trees, invasive plants and Poison Ivy. They have pulled garlic mustard, identified new patches of japanese knotweed and named many of the cultural structures in the Park. They are our eyes in and on the Park! Congratulations!!! This page contains observations of the Park and happenings seen by the British School students who all spend at least 1 day a week in the Park. We welcome their input to our knowledge of the Park!